Our Christmas/New Year’s holidays began yesterday. We are staying in Osaka this break so will enjoy time as a family in Kansai. 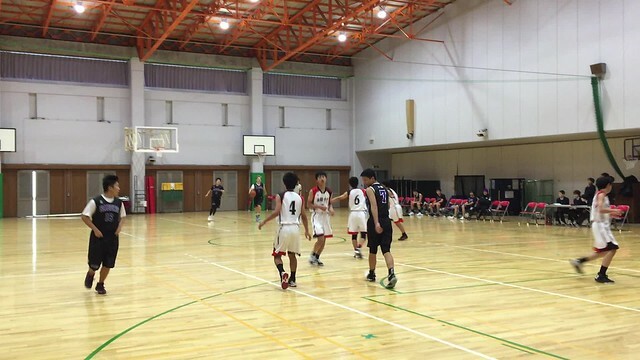 Above is a video of Owen scoring in a junior varsity basketball game against Kinran Senri High School. Owen’s team was at a different level and in the two games they played, they scored 178 points and kept their opponents to under 50 points total. Owen really enjoys sports and is getting more comfortable playing the more games he plays. He has better fundamentals than most of the other players, but needs to be more aggressive to become a varsity starter. As a freshman, he plays a lot on the JV team and most importantly, is getting exercise, learning how to be part of a team and developing the skills of basketball. I would like to thank Coach Heimer for scheduling the game during the holidays. Nadia, Ocean and I went over to watch. Oliver was gone most of the day with his friends. He went to the new Star Wars movie and then onsen and dinner. Like his grandfather and mother, he loves to socialize and go out with friends. Stopping for a Selfie on my ride! My bike ride through the hills of the Minoh National Park was so refreshing. It is so nice to have time to focus on family and exercise and take a break from a full life at school. Good to recharge the batteries! All of us, sans Oliver, saw The Last Jedi last night. It was OK but in my opinion, nothing special. Perhaps I am a jaded middle-aged man. I found myself cheering for Kylo Ren, especially when he took out the old man Snoke and suggested to start over. I wanted a new story and characters and am done with the resistance, jedis, etc. However, franchises like Star Wars are such huge money makers (they got 7,200 yen out of us) that they will give the fans what they want. I don’t think I will see future movies in the series. It was great to share the experience with Nadia and Ocean, however. We were pretending to have the force and control others through our minds. We had a light dusting of snow on Thursday. One interesting Japanese cultural note. Japanese moviegoers will not exit the theatre until the credits are completely done. We had to shuttle out in the dark while the credits were rolling. They are also super quiet before and during the movie. I only ate my ice from Owen’s coke during action scenes to mask the sound. ← Kralovec Children Doing Well!